Although its importance is often overlooked by homeowners, roofing is — in fact — a quintessential part of what makes a house feel like a home. Not only does your roof keep you and your family safe from the elements, in addition to mold and other moisture-related issues, but an attractive roof can significantly add to your home’s curb appeal as well. Unfortunately, when your roof becomes outdated, unsightly or just stops functioning properly in keeping unwanted issues out of your home, hiring a contractor for replacement is the only way to remedy your roofing woes. However, there’s more than a few criteria to consider when determining which company is right for the job. This criteria goes beyond simple convenience and affordability. After all, your roof is one of the most important aspects of your home, so ensuring it is installed properly with only quality materials should be a no-brainer for any smart homeowner. Where do you start? When researching reputable roofing companies in your area online, picking out companies with years of experience is where you should begin as far as criteria goes. 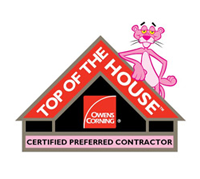 When it comes to roofing, experience is typically a key attribute of a quality company, and ensures your roofing project will be handled by the most knowledgeable professionals in your area. 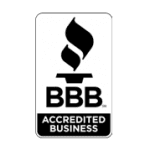 For Newnan, Georgia residents, Eagle Watch Roofing has been the gold standard in quality roofing installation as well as innovative gutter systems since 1999. Each year, Eagle Watch exceeds their competition by a large margin when it comes to both quality materials and workmanship. 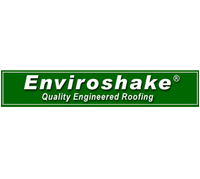 Beginning as a family owned company that specialized in multiple home-related services, Eagle Watch has since shifted their focus solely to roofing and gutter systems. 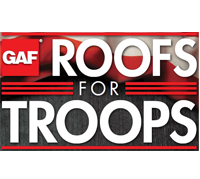 This focus allows them to dedicate all of their expertise to delivering the highest quality in roofing you’ll find in Newnan as well as the surrounding Georgia areas (including Fayetteville and Peachtree City). What does the typical ‘customer experience’ from Eagle Watch entail? Before a project’s budget is even realized, Eagle Watch Roofing will provide you with a convenient no cost/no obligation roof inspection to assess your specific roofing project’s needs. This gives their certified professionals the opportunity to arrange an honest estimate for your project, including materials and accessories, which can then be agreed to or declined at your discretion. As an aside, Eagle Watch Roofing can aid in roofing repairs and replacements for Georgia homeowners faced with damage from severe weather and storms. As with any job, Eagle Watch offers free inspections to assess your roof’s damage and will help you file a claim with your homeowner insurance company to assure you receive the correct compensation to properly restore your roof to it’s original glory. Eagle Watch goes above and beyond to ensure every customer is satisfied with their project’s end result. They do this by sending a friendly representative to go over the finished project. Eagle Watch makes it a point to hire only the most respectful and knowledgeable installers, who will not only be happy to answer your questions or concerns during installation but will also leave the job site clean from debris and roofing materials once a project has been completed. ← Can Replacing Your Roof Help Sell Your House?